In honor of the holiday weekend, Amazon.com has my new book on sale for $11.50 AND it qualifies for Prime free 2-day shipping! 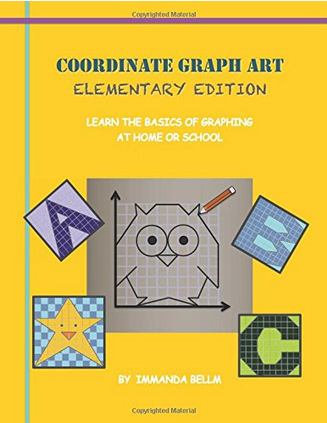 This elementary edition will greatly simplify your life, in that each puzzle and its graph paper are contained on a single page... making them easy to import into a mobile device for coloring with Notability, Skitch, or some other coloring app. The target audience is grades 3-6, but this workbook is great for your younger high flyers... and extra fun for older students too! 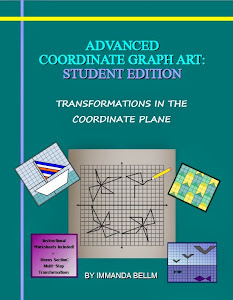 Each of the individual chapters are for sale in my TpT store as well, if you want to try one out before buying the whole book. And now for the long-awaited 4th edition of Zombie App Mashup... my two new favorite apps! 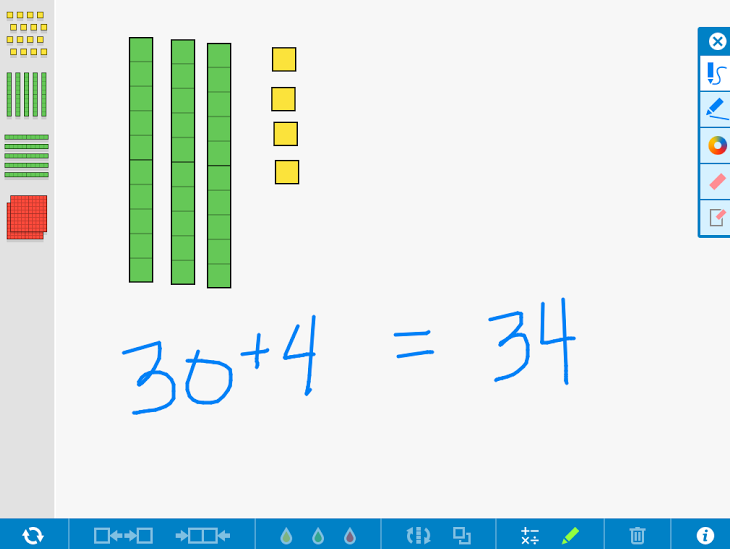 Seesaw: The Learning Journal and Number Pieces Basic (which is anything BUT!). I can't take credit myself for either of them. One of my third grade teacher friends suggested the Seesaw app for his 3rd grade students, to be able to create, upload and submit work samples to the teacher without having to log into any accounts. And my first grade teacher friends tasked me with finding a place value app... then graciously allowed me to come into their classrooms and try it with their students! It was a big success! The only thing I can possibly take credit for... is mashing these two together. I'll show you the benefits of both, and then how they can work together with just a few iPads in a classroom, or even using your teacher iPad / mobile device on its own. Let's start with the Seesaw app. Don't be confused... it doesn't say "Seesaw" on the app logo. But it has a picture of a seesaw! 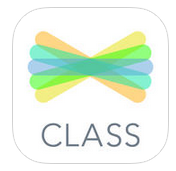 It takes maybe 5 minutes to download the app, create your class, and type in your students' names. Then you save and print a QR code that you can post in a digital lesson or on your actual classroom walls. Students scan your code, pick or create their item, upload it, and tag themselves (and any classmates who worked on the project). It's that simple! Now let's change gears over to the Number Pieces Basic app... so you can see how that ties in... imagine you are teaching in a 1:1 environment, or as is the case for my district, a cart model. 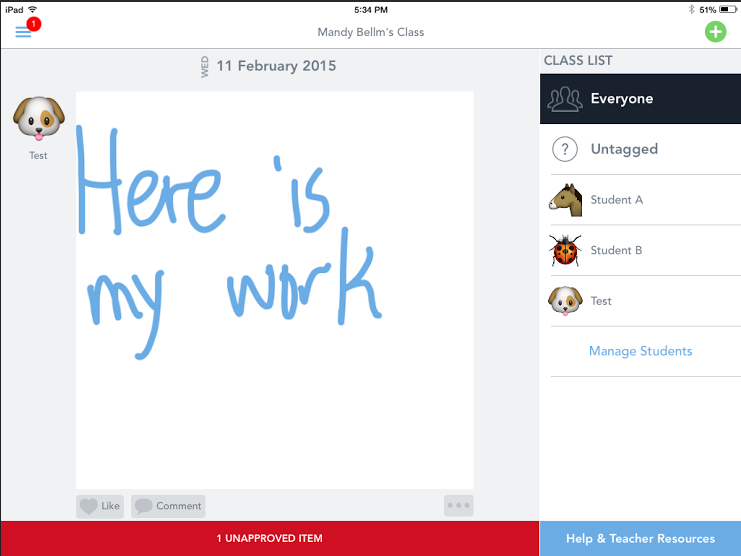 Students can easily log in and out of the Seesaw app on the cart, but they can also have the power to share work they have done in various apps. The key is teaching them how to use the "screen capture" feature, which many of them know how to do anyway. Hold down the home button and sleep button at the same time. You will hear the camera click; the picture is now saved to the iPad's camera roll. If you have taught your students how to use Seesaw and take screen shots, the sky is really the limit. You could have them screen shot a "ShowMe" presentation with a picture and a sentence... or take a short video of themselves reading... or take a picture of a paper copy of work... or... submit a math problem using Number Pieces Basic! I initially started using this app with 1st graders, to model place value with 100's, 10's and 1's, and to practice writing math sentences using addition and subtraction. Then, of course, as often happens... the students discovered they could change the color of the pieces! Perfect! Now we can use the same app to model integer equations. Students drag the pieces over to the work area and then change the color from yellow to red, to represent negative numbers. 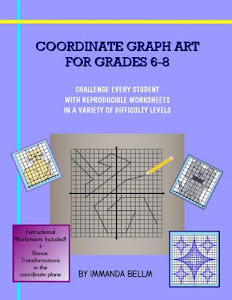 You can use the ten sticks to model variables, and the hundreds sticks to model exponential equations. 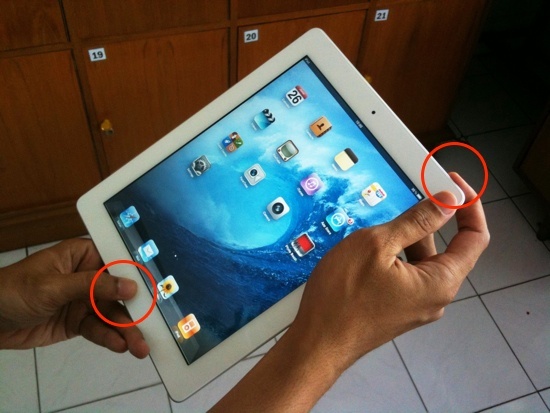 You can practice this as a station or as a 1:1 iPad activity, or as a whole-group activity on your teacher iPad. Then, challenge your students to complete a final work sample... screen shot it... and submit it to the Seesaw app for credit. You could even have them working with actual manipulatives or on a real mini-white board, and use your teacher device to video record themselves talking about their problem. Either way, they tag their name and submit it. The work process is the same. Imagine the power... at conferences... your parents come in to hear how their child is doing in your class, and you have all sorts of work samples to show them. 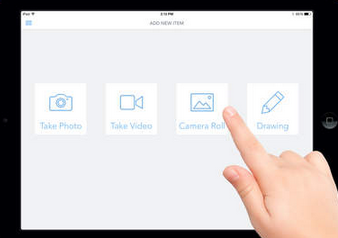 Video, picture, app screen shots, in addition to test scores and other paper items. What a great way to show growth over the course of the year! Got more ideas for apps to combine with seesaw? Send 'em my way!